Jalan Sungai Danga (Johor State Route J106) is a major road in Johor, Malaysia.Jalan Sungai Danga is one of Johor main road which connected with Danga Interchange between Iskandar Coastal Highway. 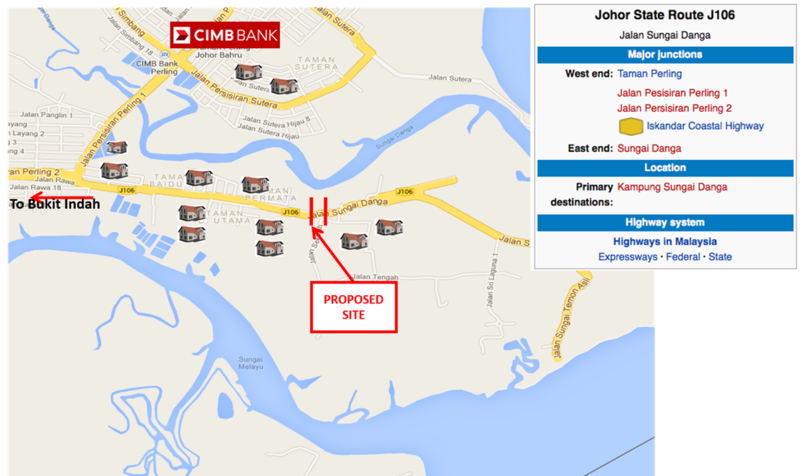 A good potential as it is located between Iskandar Zone A & Zone B. The population of Sungai Danga district exceeds 150,000 residents and the town itself has over 200,000 residents. The township occupies a strategic position, served by excellent network of roads, inter-city highways and also the main North South Highway. To further enhance the network, the government is coming up with Iskandar Coastal Highway, a 16km Six-Lane project which will link directly to our township. High traﬃc. Located at main road leading to Bukit Indah & Taman Nusa Bestari, Taman Perling, and towards main town, Johor Bahru. It is prominent, unobstructed, and clear view from 200 meter. One Danga Residences – As an exclusive address that has your best interest at heart, One Danga is located where a world of convenience is right at your door step. Savour the luxury that others only dream of while living in a home that stands as an iconic sight on the skyline. 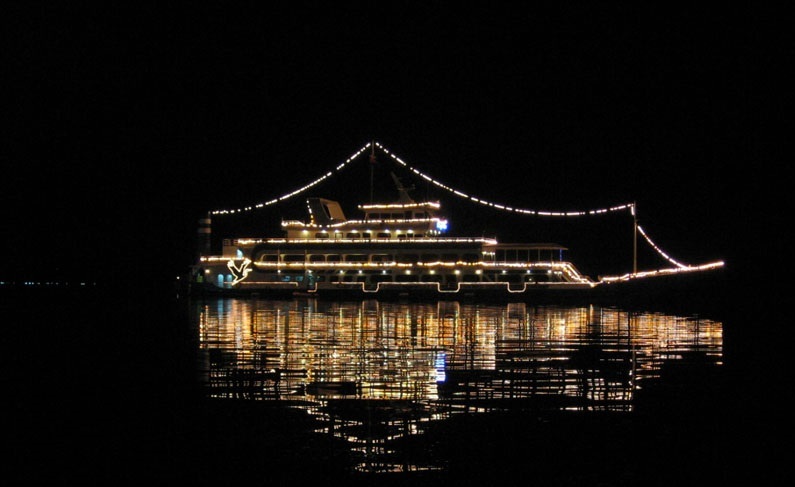 Taman Perling – It is a main township in Johor Bahru, Malaysia. The main landmark of the housing area is Perling Mall,which has 2 floor of almost 100 shops. It is located twenty minutes from Johor Bahru, and is served by the Second Link Expressway. Taman Nusa Bestari – Is a township situated around well-established and fast growing townships with high density population such as Taman Sutera, Taman Perling and Taman Ungku Tun Aminah and Bukit Indah. Taman Nusa Bestari, has been the most prosperous township in Bandar Nusajaya. Get in touch with our outdoor specialist to assist you in reviewing your current outdoor advertising strategy. We will guide and assist your advertising and promotion/marketing team to gain the best in the outdoor advertising medium. Our team of dedicated consultants and specialist are trained and experienced in the outdoor media buying, outdoor execution and out-of-home advertising. Why choose Out-Of-Home Advertising as your Marketing & Advertising Medium? Are you looking for an idea for Creative Outdoor Ads? Thank you for visiting SKYBOARD MEDIA website. We welcome any enquires and comments from our valued customer. Please fill in the enquiry form below. We will contact you as soon as possible. previous post: Does Outdoor Advertising Still Work? 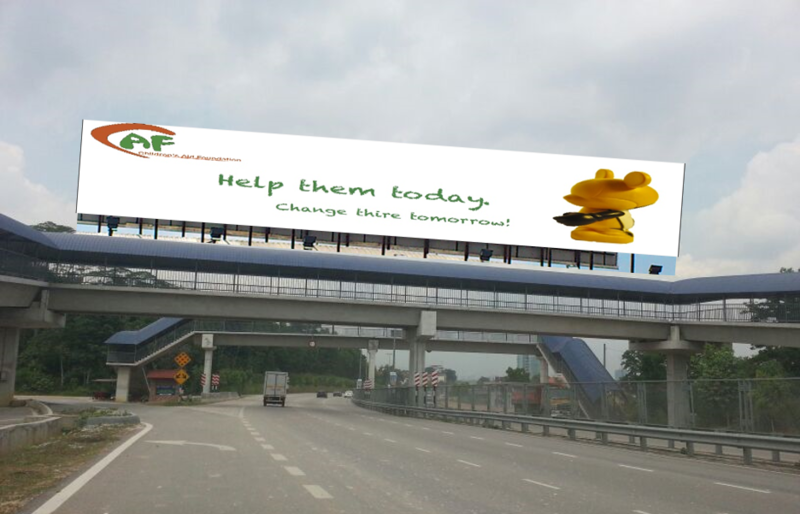 next post: Give A High Impact Towards Your Brand At Highway!